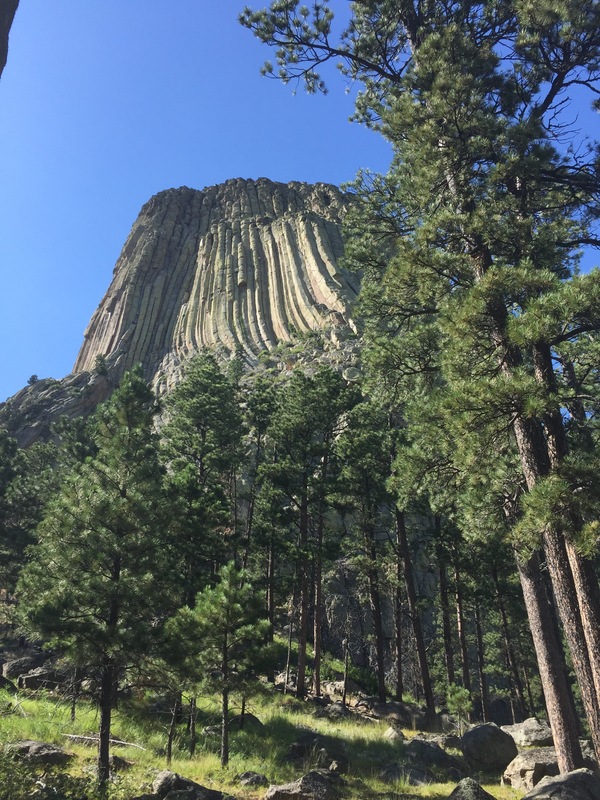 Devils Tower, standing almost 1000 feet tall, this strange protrusion of rock pierces the rolling hills as if some insidious force drove it straight out of the ground. Truly alien to its surroundings, the tower looks like nothing you’ve ever seen. It began to form some 200 million years ago, though no one is really sure how. 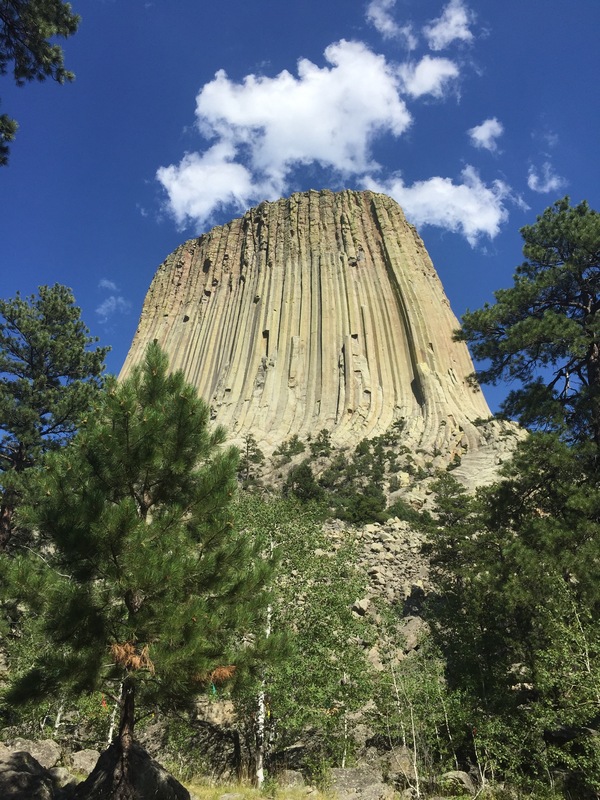 The tower is comprised of igneous rock, magma, and it is widely accepted that the tower is an igneous intrusion; meaning a giant core of magma that instead of erupting, simply pushed the land above it up and out. However the theories as to its exact origin vary from expert to expert. Some believe it was the core of a super volcano that cooled over time and turned into a plug, other believe it was the heart of a great magma chamber, and it was revealed as the earth around it eroded away, much in the same way Yosemite was exposed. Whatever the case, the rock is as strange and intriguing today as it ever has been, prompting up to 400,000 visitors annually. Established in 1906 by President Theodore Roosevelt, Devils Tower was the country’s first national monument, helping to pave the way for our extensive network of national parks, forests, and monuments that stand today. That being said, it is on the smaller side. Around 1000 acres, you can get the full effect of the tower in about an hour of hiking. The paths are short and they stem off from the visitor center, a convenient central location at the base of the tower. Be prepared however, as the paths, while not very long, are incredibly steep, and can tire you out much faster than you expect. 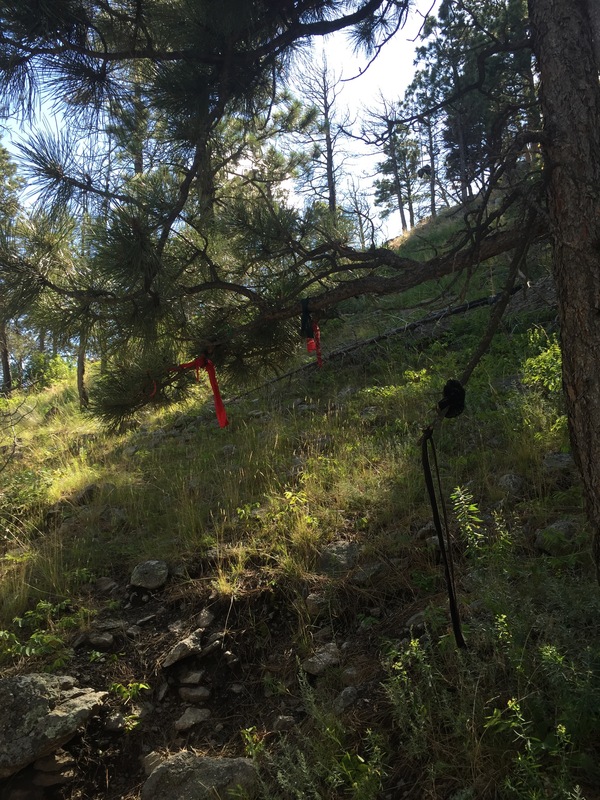 As you travel the paths, you may come across small bundles of cloth, laid on rocks or tied to branches. These I discovered, are prayer bundles. 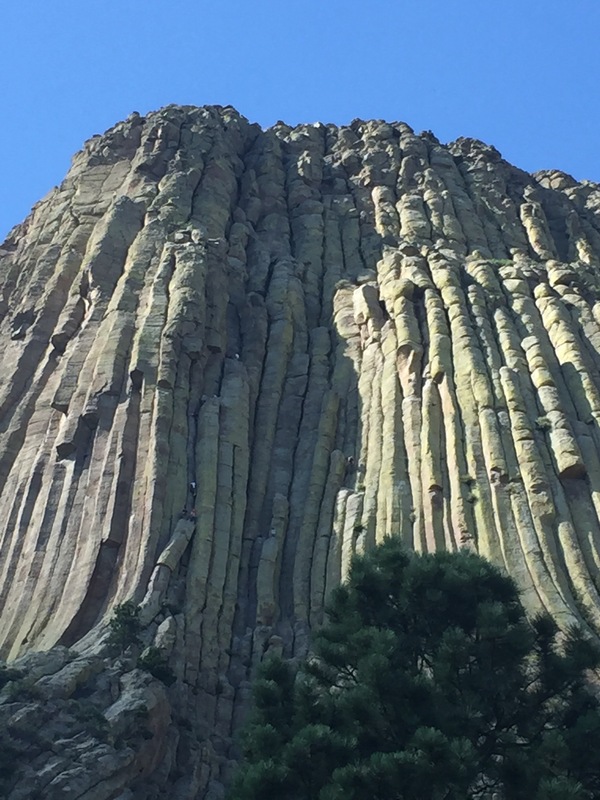 The tower is sacred to the Lakota, as well as the Crow, Cheyenne, and a few other tribes. 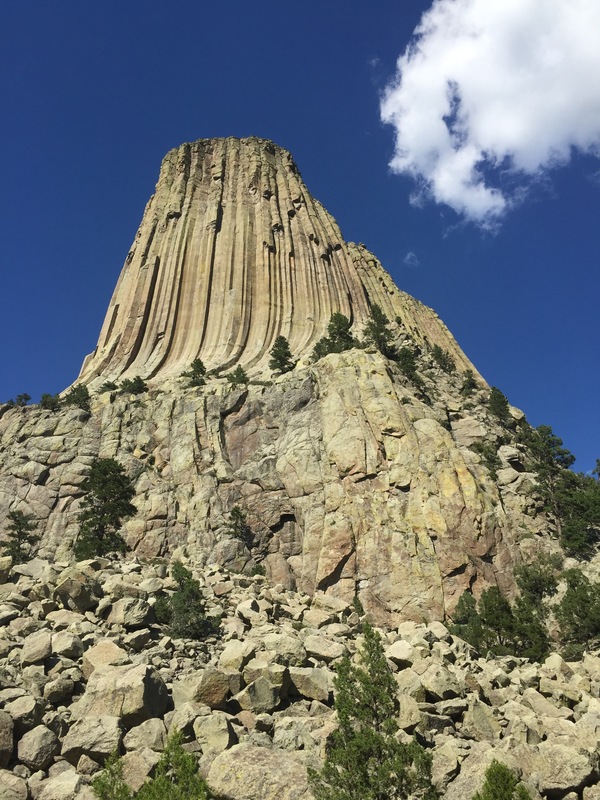 The tower got its name when explorers misinterpreted its native name to be “bad gods tower”, leading to it being known as Devils Tower. 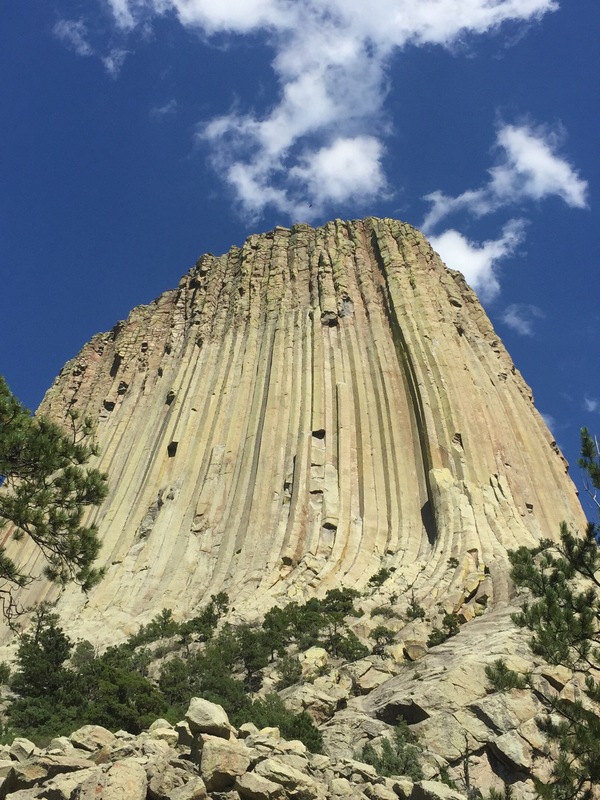 Technically though, the tower is called “Bear Lodge”, and many attempts have been made by Native American spiritual and cultural leaders to have the name officially changed, this has been to no avail. 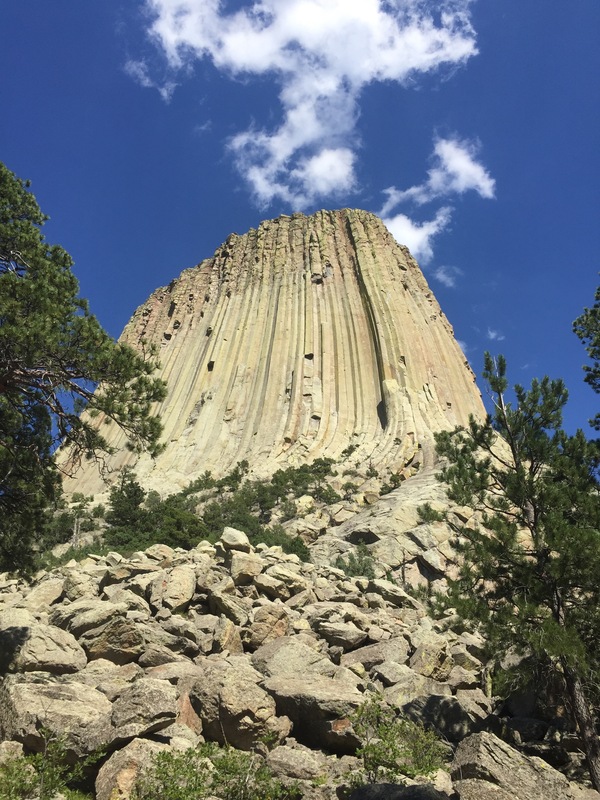 The name has since gained a strong foothold in popular culture, the tower appearing in movies such as Close Encounters of the Third Kind, and a myriad of stories have been concocted in relation to the towers name and appearance. Some say it looks like the devil himself clawed at the stone, scraping the magma to resemble the tower it does today, an apt image when you look at it from the base. It looks just, strange. Bewildering. Almost as if it could be peeled away, revealing some shockingly beautiful core, hidden beneath the crumbling layers of hexagonal spires. In any case, definitely worth the stop, but be sure to see close encounters prior to your visit.